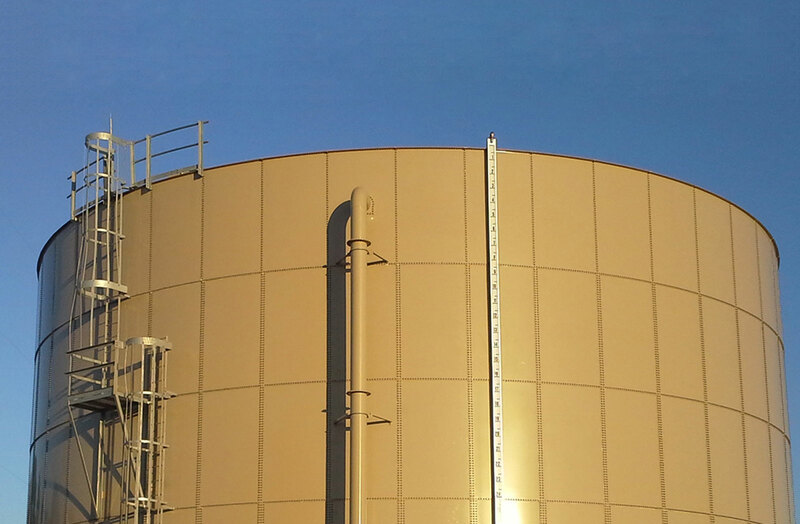 NSF International Certification for Bolted Tanks - Superior Tank Co., Inc. In order for the entire bolted tank to earn NSF/ANSI 61 & 372 certification, our bolted tanks were subjected to rigorous testing and evaluation to verify they met the stringent requirements for storage of drinking water. Various elements of the bolted tanks were analyzed including our epoxy powder coating, encapsulated tank hardware, EPDM gasket material. In order to earn certification, the performance of the product must meet rigid durability standards and our factory powder coating and tank components exceeded standards. In addition, our bolted steel storage tanks were tested and found to meet to the requirements for “lead free” product listing. The laboratory staff even noted how robust our powder coating was and how well it held up to testing. In addition, NSF International audited our bolted tank manufacturing facility in California to verify compliance to the requirements. Not only did our process meet the certification requirements, but the inspector commented how organized our manufacturing facility was. When NSF Certification of the entire tank is not required, Superior Tank also now offers an NSF Certified Off White epoxy powder coating. The new color provides the same durability and performance as our Tank Tan epoxy powder coating with NSF Certification but increases the contrast between the water and the tank interior making it easier to see the tank bottom and identify potential water clarity issues. Previous How Much Does A Bolted Steel Tank Cost?